Travel is an inevitable part of living in the Caribbean. 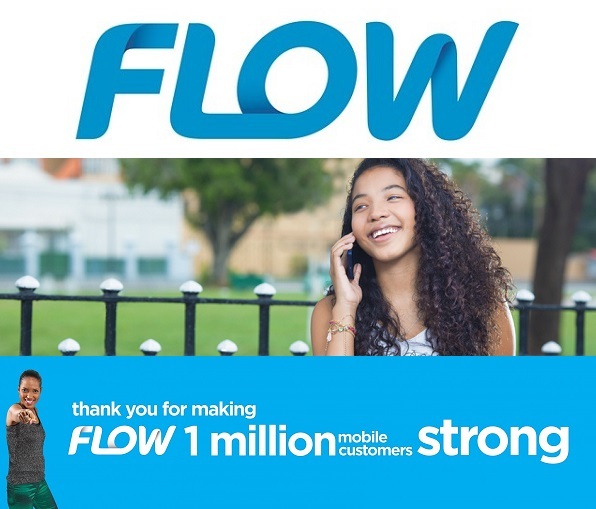 Now that FLOW Jamaica is 1 million strong as per the celebration vibes captured in How Flow Jamaica celebrated 1 million customers with a 99 cents FAM Plan, having a reliable Network while you roam is more critical than ever! So how do you make calls when you’re no longer in your country of origin? Well, you can always use WhatsApp, but that’s if you have an unlocked Quad-Band smartphone and you can purchase a SIM from the Network in that country. Not to mention the people you call have to also have Skype or WhatsApp and have either an active Data plan or be in close proximity to reliable Wi-Fi. You can also purchase a MiFi from that country and then switch on your Wi-Fi and make all our calls via Skype and Wi-Fi. But if you’re going to be among regular people who are not teenagers or Millennials, you can’t depend on Wi-Fi, even from a portable MiFi. 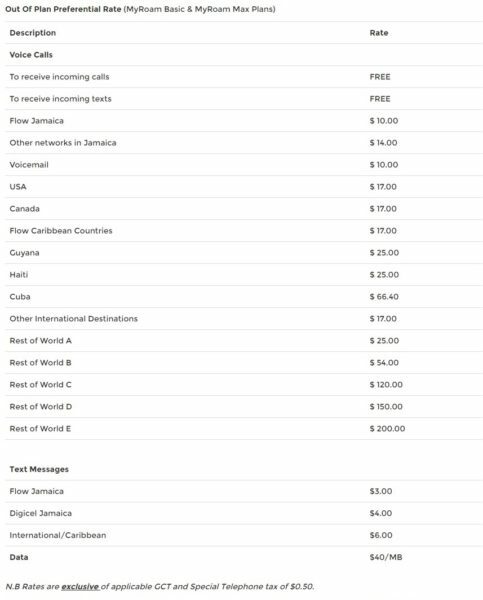 So here’s the details on the various Roaming Plans offered by FLOW Jamaica. Here’s a list of the MyRoam Roaming plans. Please note if you exceed any of these plans, you’ll be charged out of plan rates as listed below. Make sure you have your Credit card handy so that you can top up your plan when you exceed or the days run out via the various online portals as explained in When in the wild, Top-up your FLOW Jamaica or Digicel smartphone Online. To check your voicemail, call you own number while roaming. To check your MyRoam plan while abroad, you’ll have to visit the Online Customer Care Portal. So what about Roaming Plans for Postpaid Customers? The MyRoam Postpaid Roaming exists as Bolt-ons that you add on to your MyPlan Basic Postpaid plan as described in Flow Jamaica’s MyPlan Base Plan is Postpaid with Bolt-On Benefits. There are Voice and Data Roaming Bolt-ons as listed below. And as with Prepaid MyRoam Plans, you’ll be charged out of plan rates as listed below. However, these Roaming plans really apply to the US, UK, Canada and the Caribbean. Since we already live in the Caribbean, shouldn’t there be a Roaming plan designed especially for the Caribbean? Fortunately there is; it’s called the One Rate Caribbean Roaming Plan and is as shown below. This unifies us a Caribbean People, as instead of having different Roaming rates in the Caribbean, we can all roam on one Caribbean Rate. Then again, there is always using WhatsApp on Wi-Fi, so along as the people you’re calling have Wi-Fi. When in Roam, roam with FLOW Jamaica. Sharing is caring so share this article with your friends, encouraging them to switch to FLOW Jamaica!